Holiday hairstyles require something a little extra special, making braids absolutely perfect. Not only are these braid styles bang on trend for the season, but they are also perfect for adding festive hair accessories to, giving you the opportunity to really put your own spin on each look. The reverse braided bun looks as though it is quite a complicated style, making it perfect for special occasions, but it is actually quite an easy one to master. Great, now begin by flipping your head over, as you will need to work with the underside of your hair. Want the braid to stand out a bit more? Just gently tug at it from the sides, as this will make it larger and give it some extra volume and texture. The crown braid is regal and elegant, making it perfect for a festive party. It does take some time to create, so do not rush this style, especially when doing it for the first few times. Begin with hair that has not been washed for a few days. Have you already washed your hair and want to create this look? Run some dry shampoo through your hair, as this will give it the texture necessary for the style to hold together. To begin with, part your hair down the center. That can work too, but make sure that you still part the back of your hair down the middle, as this will keep the braid even on both sides. Give your hair a spray with some texture spray, just towards the ends. Then, section your hair into two, on either side of your head. Begin with the left side, and braid this into a classic three-strand braid, securing the end with an elastic band. Make sure that the elastic bands you use are clear. Repeat with the other side. Take the braid on the left side of your head and twist it up over the top of your head, as far as it will reach. Use bobby pins to pin down the top section of the braid. Do the same with the right braid, but cross this over the left one at the top, in a way that hides the ends of both braids. Left with a lot of stray hairs? Simply pin these down wherever necessary. 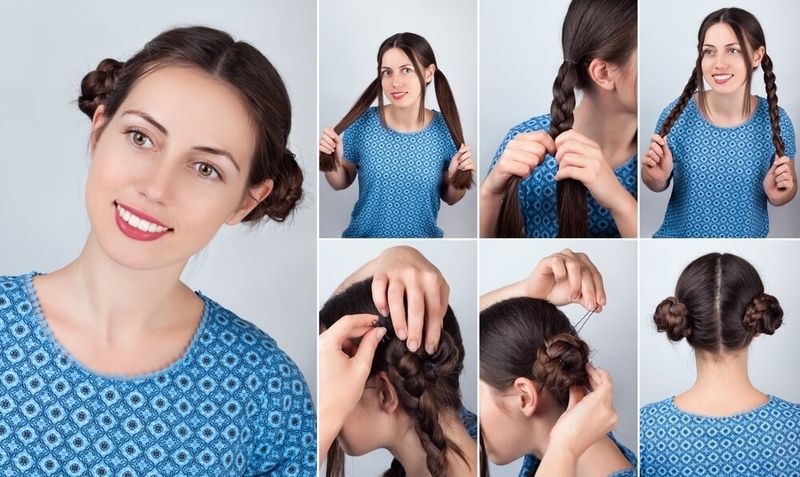 All you need to do is pull the braids apart a bit, once they are up on your head, to give them some extra volume. You could also pull a few pieces out from the side, so that they frame your face and give your crown a more romantic touch. This elegant braided bun does not take long at all to create, but will keep you looking polished and chic through the day. You can always give this look, or any look, some extra sparkle by adding in a few festive accessories, or simply using colorful bobby pins. This braided bun is extremely similar to the style above, but, as you can see, this one has more volume and texture. If you like the idea of a braided bun, it would be worth trying both styles out, as there will likely be one in particular that works especially well with your hair type and texture. Ready to get started with this bun? 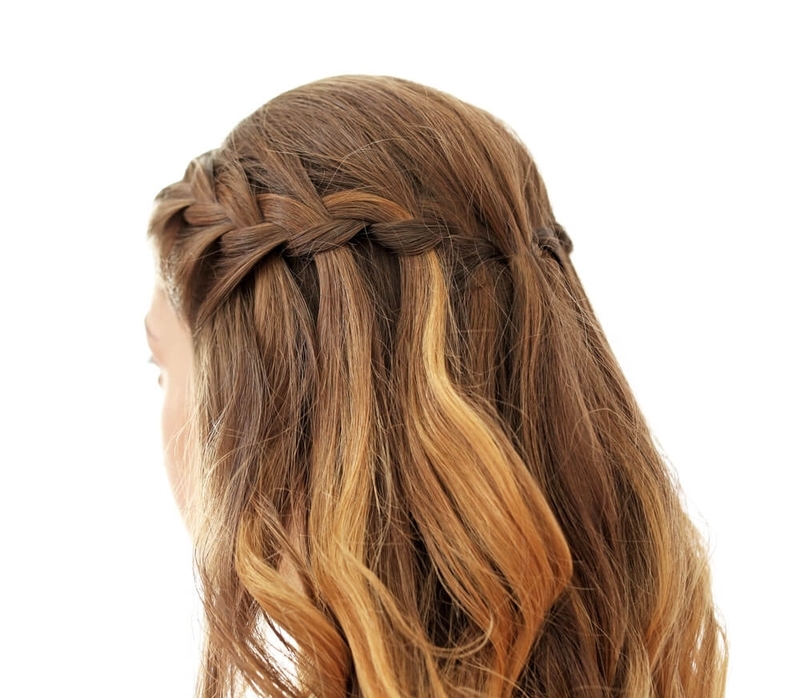 The waterfall braid is one that you have likely seen on Instagram, as well in magazines, countless times. Not yet been brave enough to try this style out for yourself? The holidays are the perfect excuse to give this soft and feminine style a go. Begin by applying some texturizing spray to your hair, as this will help the braid to grip together easier. Take a one to two inch section of hair from next to your parting, and divide this into three sections. Begin weaving your braid across the back of your head. After a couple of rounds, after you pick up a new top section, you need to drop it after crossing it over the middle section. Then, cross the bottom section over the section that you have just dropped, and begin the braiding process again. 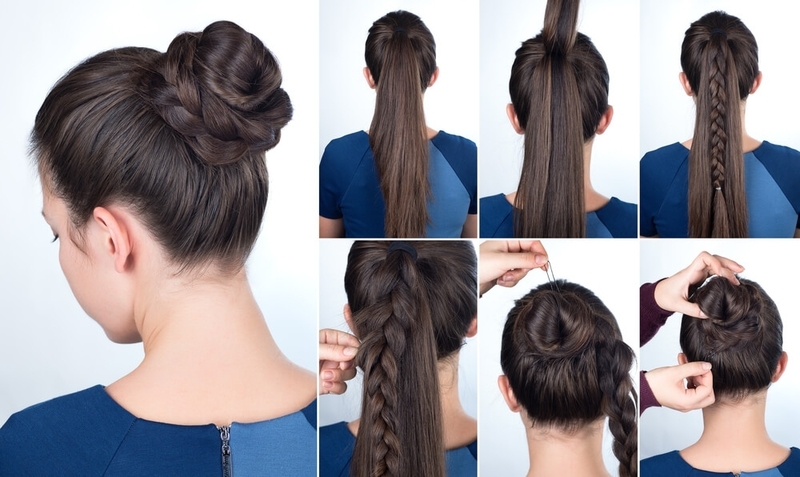 Keep doing this until you have reached the back of your head, and then secure the braid with an elastic band. 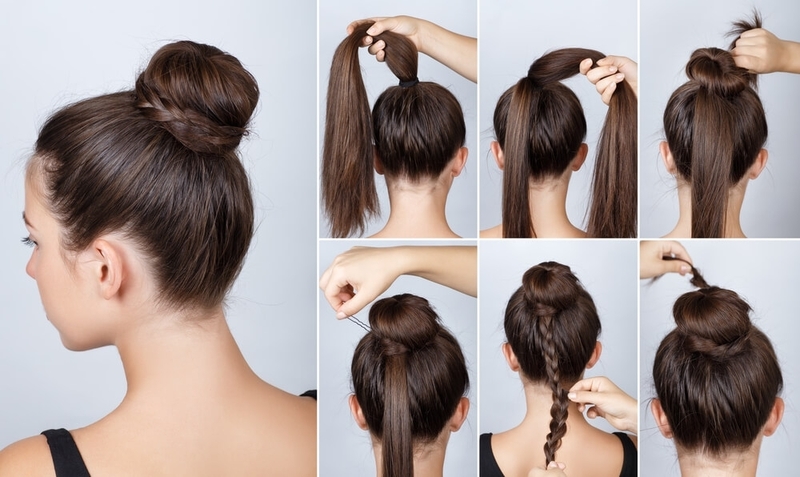 Repeat these steps with the other side of your hair. Once you are done, join the two braids together at the back of your head with an elastic band, before removing the two elastic bands that were previously securing the braids. Finish this look with some hairspray. 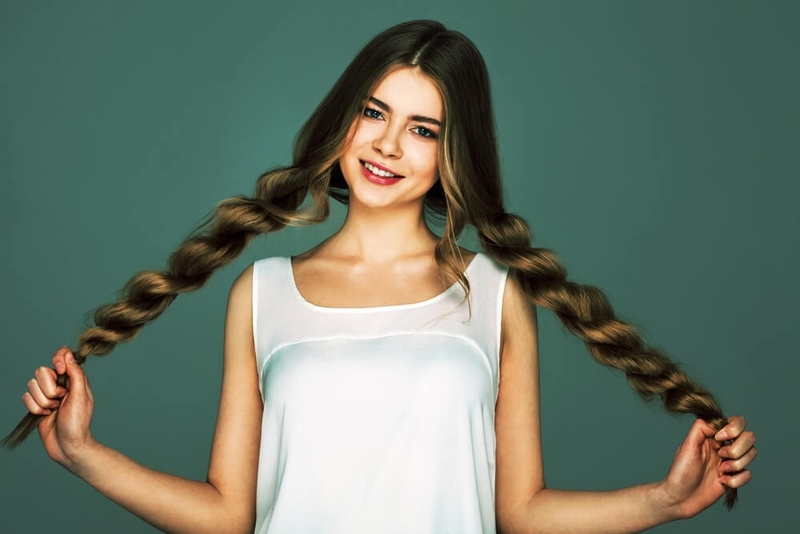 If your hair is quite long and thick, a voluminous side braid will not only keep your hair out of the way, but it will highlight its natural texture and shape. Nevertheless, you are still best applying a texturizing spray before you begin. A ponytail will always be a classic style, but the holidays are the perfect time to dress up your standard ponytail a bit, perhaps by wrapping a braid around it. This style begins with pulling your hair up into a high ponytail, and tying it with an elastic band. Then, take a section from the side of your ponytail and wrap this around the elastic band, so that the band is hidden. With the ends of this section, begin creating a French braid. However, rather than working your way downwards, move diagonally down and around your ponytail, taking new sections of hair as you go along. 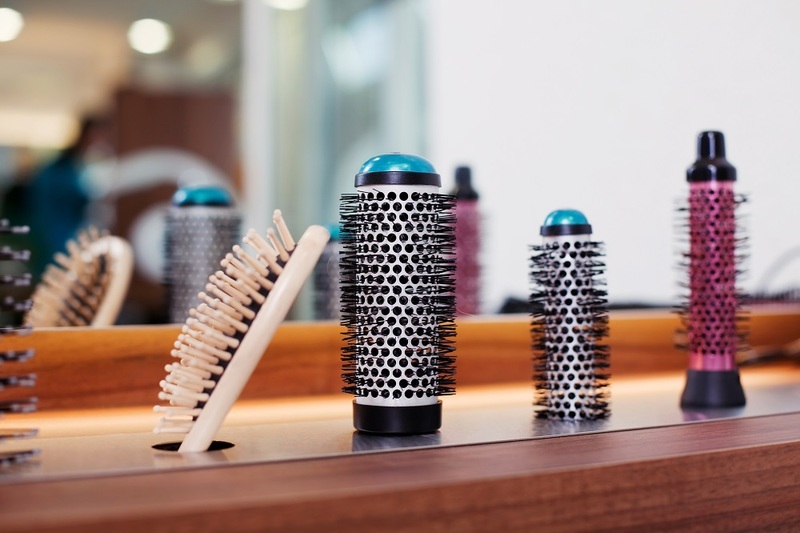 Secure the ends with an elastic band, and a spritz of hairspray for some extra hold. This is another one of those braided styles that looks as though it took hours and hours to create, but is actually relatively simple. As with all braided hairstyles, this one will hold better if your hair has not been washed for a couple of days. 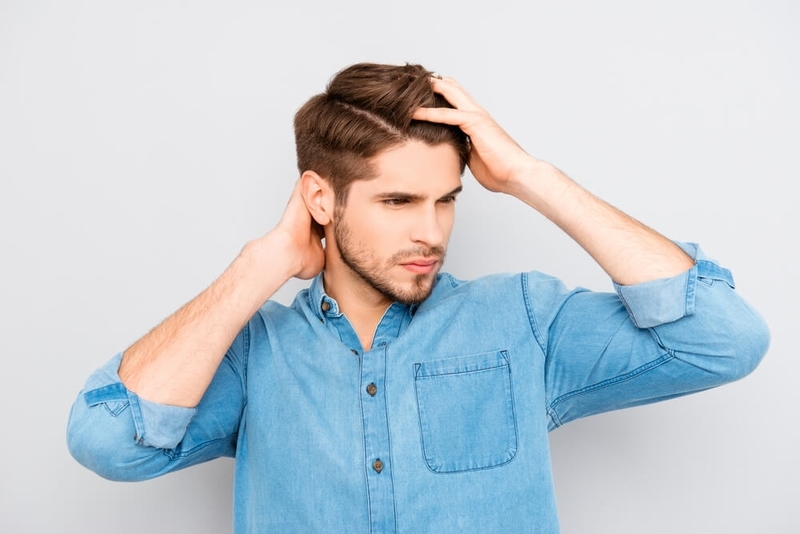 Divide your hair into two, but horizontally rather than vertically, so that you have a top and bottom section. Then, divide each of those two sections into at least four sections each, securing each one with an elastic band. Next, braid each section of hair, securing the ends of each braid with another elastic brand. The type of braid that you create is completely up to you, with different braid types having an effect on the texture and volume of the end result. 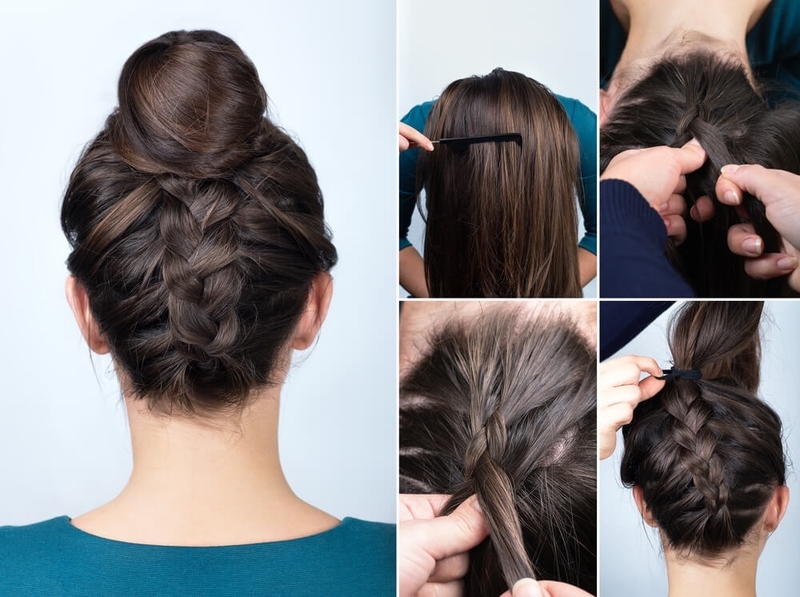 Now, twist each braid up into a bun, securing with bobby pins. As you continue on with each braid, you will find that the buns begin to overlap across each other, and this is absolutely fine, as this will give you the intricacy that you want for the final outcome. 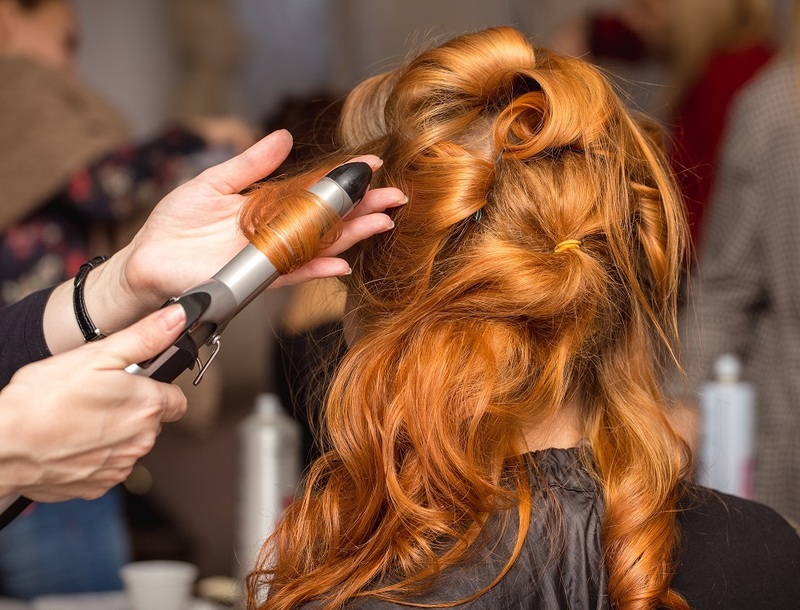 Give your hair a spray with some hairspray once you are done, to hold everything in place. To many, this may seem like quite a quirky look, but this makes it perfect for a day of fun festivities. It is also one that holds quite well, which is ideal if you know that you are going to be on the go quite a bit. Give your hair a spray with some texturizing spray, to give it a better hold. 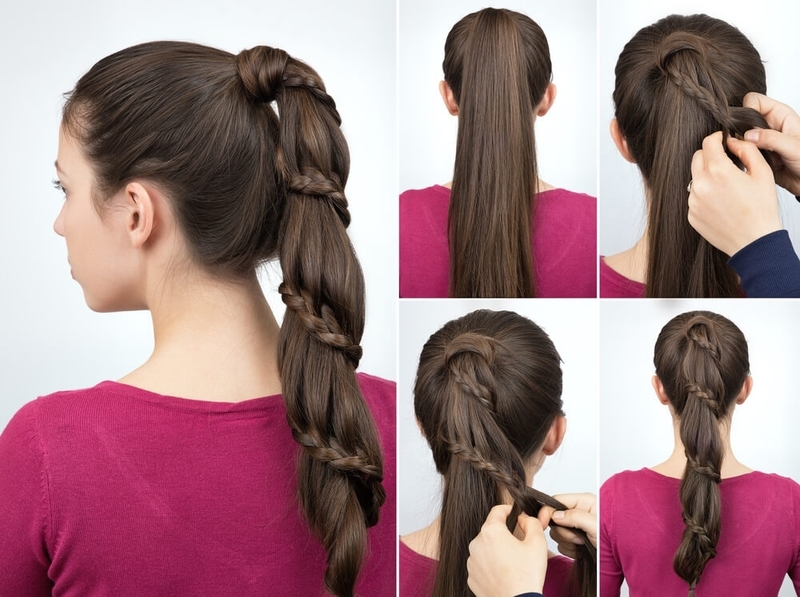 Braid both sections of hair, doing a standard three-strand braid, and then securing each end with an elastic band. 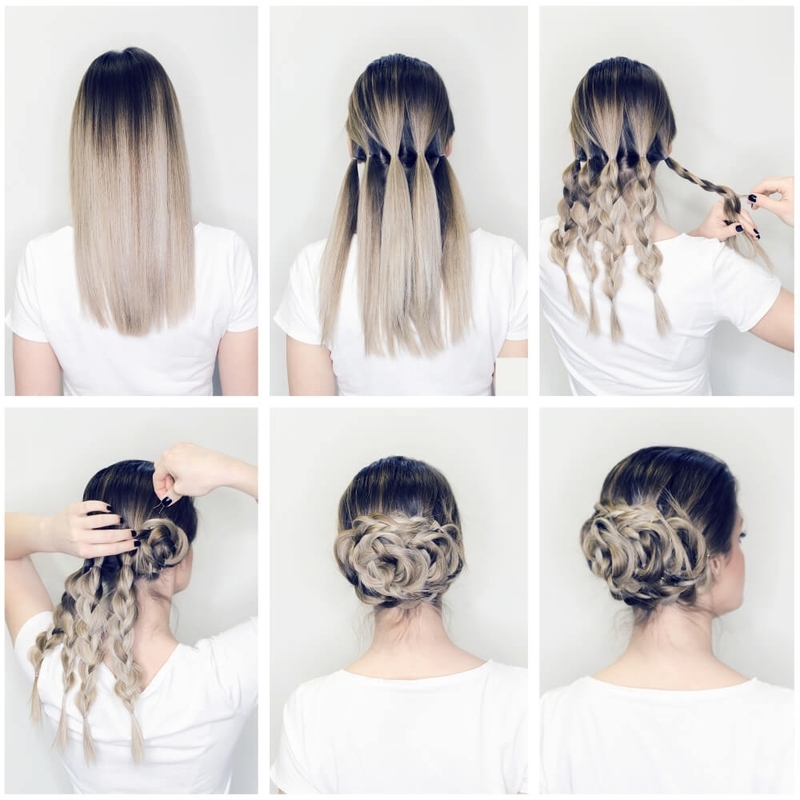 Twist each braid up into a bun, making sure that you pay extra attention to the exact placement of each bun, as you want them to be symmetrical. Once you are satisfied, secure each bun with an elastic band. Take the two front sections of your hair that you left out earlier and twist these back towards your ears, before securing with a bobby pin on either side. Finish the look with some hairspray.